amongst others, the universities of Copenhagen, Aalborg, Konstanz, Indiana and Beijing. of the Advisory Board of the African Peace Network of the Social Sciences Research Council in New York, deputy chairperson of the Institute for Global Dialogue and a trustee of the Institute for Security Studies. She serves on the editorial boards of several local and international journals in the field of international relations. South African foreign policy and African peace and security. Together with Dr ’Funmi Olonisakin (King’s College, London), she is responsible for the Faculty of Humanities’ research theme, ‘Peace and conflict’. 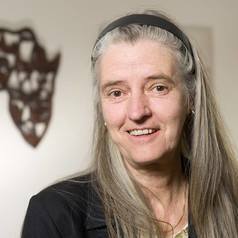 She is also involved in the UP research project on Ubuntu, funded by the Templeton Foundation. 2013: ‘South Africa’s foreign policy: challenges and constraints’, Welt Trends, 21, September/October (co-authored). 2013: ‘South Africa in the company of giants: the search for leadership in a transforming global order’, International Affairs, 89(1) (co-authored). 2013: Regional integration, regionalism and regionalisation in Africa; an imagined reality?’ in Candice Moore (ed), Regional integration and social cohesion: perspectives from the Developing World, Brussels: Peter Lang. 2013: ‘Foreign policy and the military: in service of reconstruction and development?’ in Theo Neethling and Heidi Hudson (eds), Post-conflict reconstruction and development in Africa: concepts, role-players, policy and practice, Cape Town: UCT Press. 2012: ‘The UN and regional organisations: finding a balance between the UN and the African Union’ (co-authored) in De Lombaerde, P., F Baert and T Felicio (eds), The United Nations and the Regions: Third World Report on Regional Integration, Dordrecht: Springer, pp167-172. 2011: ‘Of BRICS and mortar: the growing relations between Africa and the global South’ in International Spectator, 46 (1) March 2011 pp33-51. 2011: ‘Political economy’ in Venter, A. and C Landsberg (eds). Government and Politics in the New South Africa (4th ed). Pretoria: Van Schaiks. 2010: ‘South African Female Peacekeepers: an exploration of their experiences in the DRC’ in Daniel, J, P Naidoo, D Pillay and R Southall (eds), New South African Review: Development or Decline?. Johannesburg: Wits University Press. 2010: ‘South African Female Peacekeepers on Mission in Africa: Progress, Challenges and Policy Options for Increased Participation’, Policy Notes 2010/1, Uppsala: Nordic Africa Institute.